Give your customers real-time, 24-hour access to purchasing and order status information via the internet using an intuitive, easy-to-use interface. Oracle's JD Edwards EnterpriseOne Customer Self Service can recognize the customer and personalize the experience by providing specific and relevant information, promoting improved communication while lowering the cost of routine transactions and freeing your agents to devote more time to customers with special issues. Customer Self Service module allows customers to access information seven days of the week and 24 hours a day. 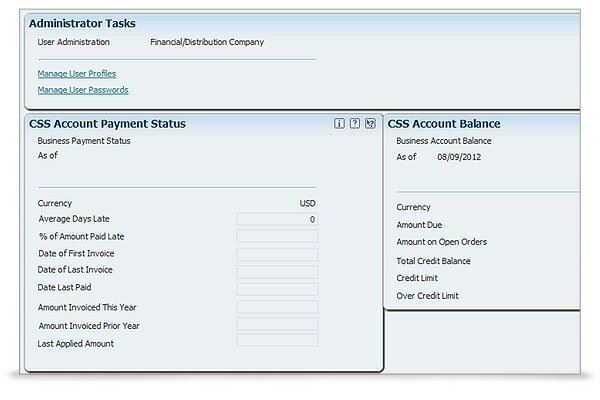 Screen shows the tasks that a customer could use to inquire on their account status. 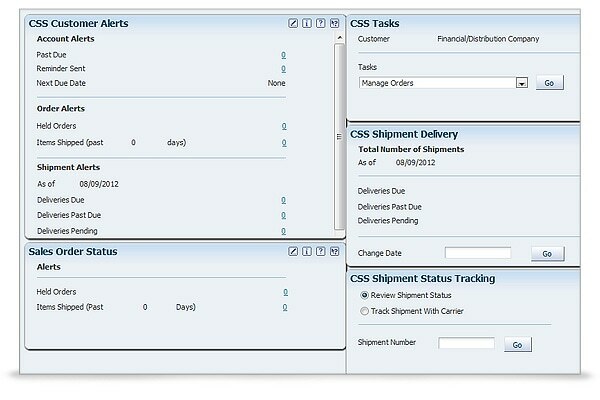 Alerts for the customer’s orders, status information for the customer’s orders, and tasks the customer can perform to for their sales orders, enter new sales orders and revise existing sales orders, track their shipments, and review the order status without having to call a customer service representative. A customer can request service or support for their products online at any time of the day. 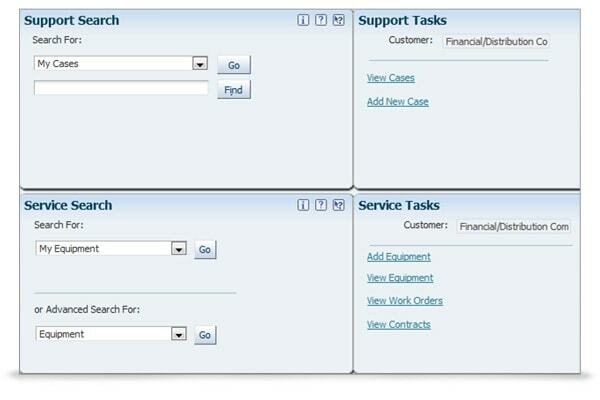 This screen shows the tasks a customer can perform to enter, revise, and track their service and support requests. Customer online access to order status, shipment tracking, inventory availability, account balances, and account information. Sales order entry and review.